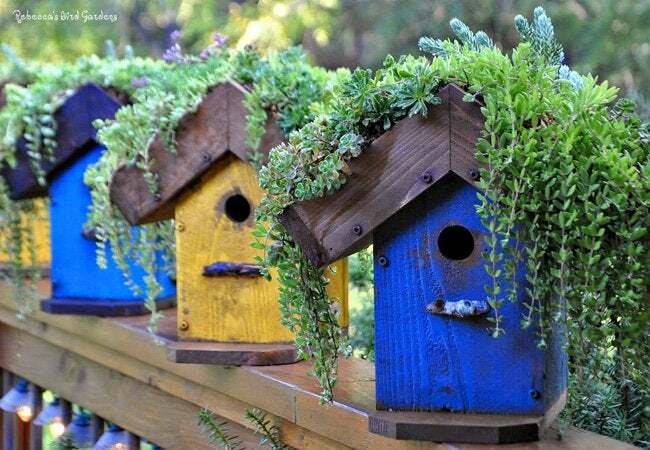 Create a charming home for the feathered friends in your backyard with one of these easy DIYs that you can make this weekend. For many, the ideal backyard consists of comfortable seating, picturesque landscaping, and the sights and sounds of colorful, chirping songbirds. 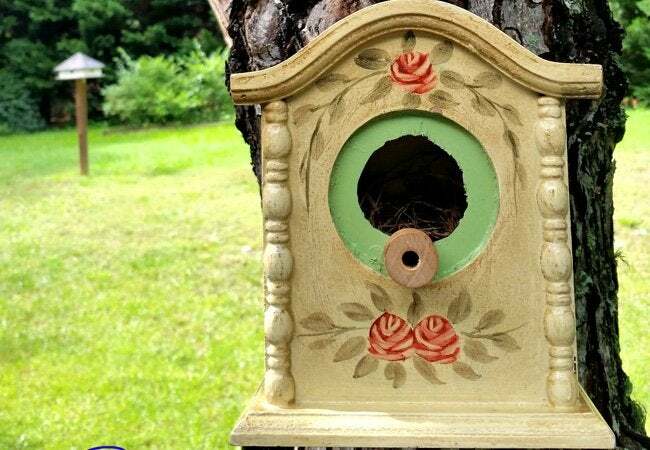 Of course, you can’t control the comings and goings of robins, cardinals, and bluejays, but you can certainly make your property more appealing to them with a DIY birdhouse. 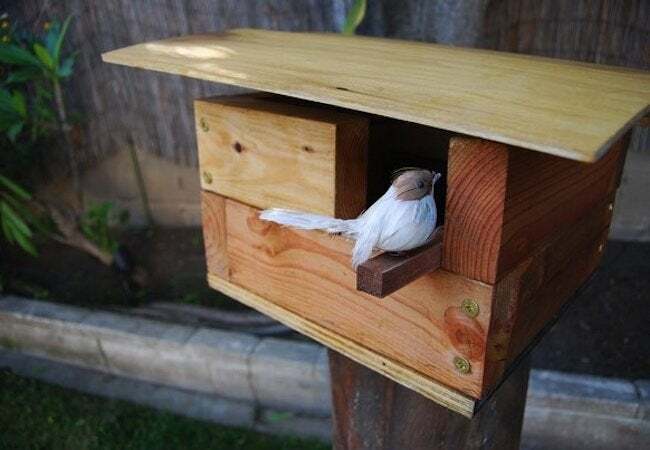 Of course, there are as many ways of building a birdhouse as there are species of birds. But of all the different designs you might consider, these are some of our top favorites. Scroll down now to see five easy, inexpensive, and endlessly creative approaches to one of the most beloved family-friendly projects of all time. 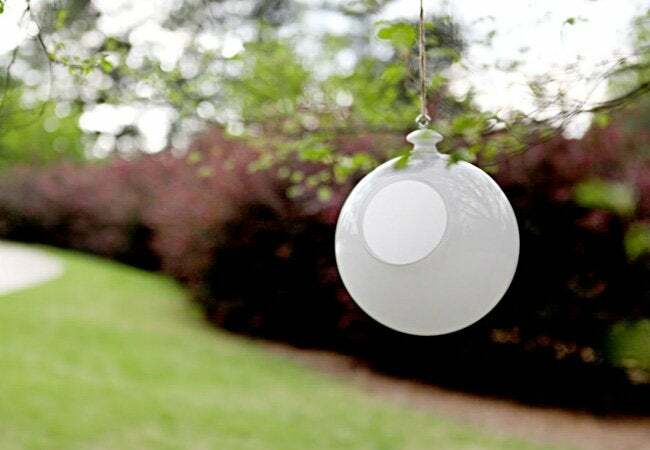 For this sleek, ultra-cheap DIY birdhouse, the starting point was a glass, globe-shaped lampshade. Making your own requires nothing more than $12 in supplies. That includes the drawer knob that helps anchor the rope used to hang the finished project from a sturdy tree branch. Go to Bower Power Blog for all the details. With its clean, crisp lines, this non-traditional DIY birdhouse from Built for Kids would perfectly complement the architecture of a modern home. Though mostly made of 2×4 boards, the structure includes at least one striking little detail—the hinged door closes with a tiny swinging latch fashioned from a paint-stirring stick. Here’s a DIY birdhouse cleverly adapted from an old-timey mantel clock that was found in a thrift store. Having removed the mechanical workings of the clock, Sadie SeasonGoods padded the interior with wine corks, narrowed the entryway with pre-cut wood, and glued on a small spool to serve as a perch. Available from Rebecca’s Bird Gardens, this DIY birdhouse kit purposely accommodates only small birds like wrens and chickadees. It stands out for a different reason, though. Topped with a layer of stapled-on chicken wire, the pitched roof holds a layer of potting soil and an overflowing bounty of decorative plantings. 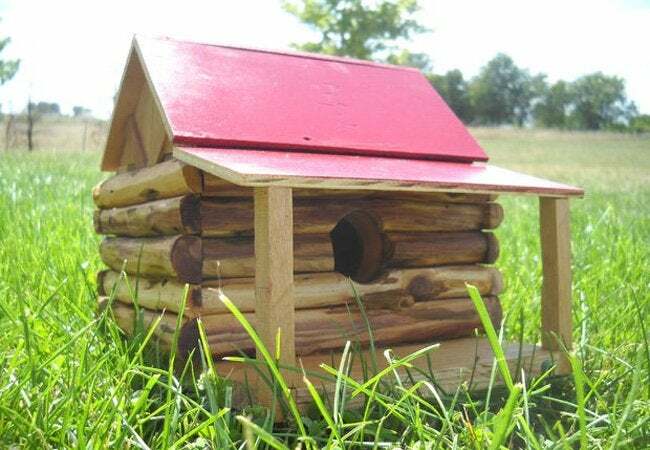 If you’ve got basic woodworking skills and these detailed step-by-step instructions from Instructables, you can assemble a log cabin-style DIY birdhouse like this one. Even more than the red-painted roof and mini front porch, what clinches its charm are the halved branches that clad the structure and form its unique look.